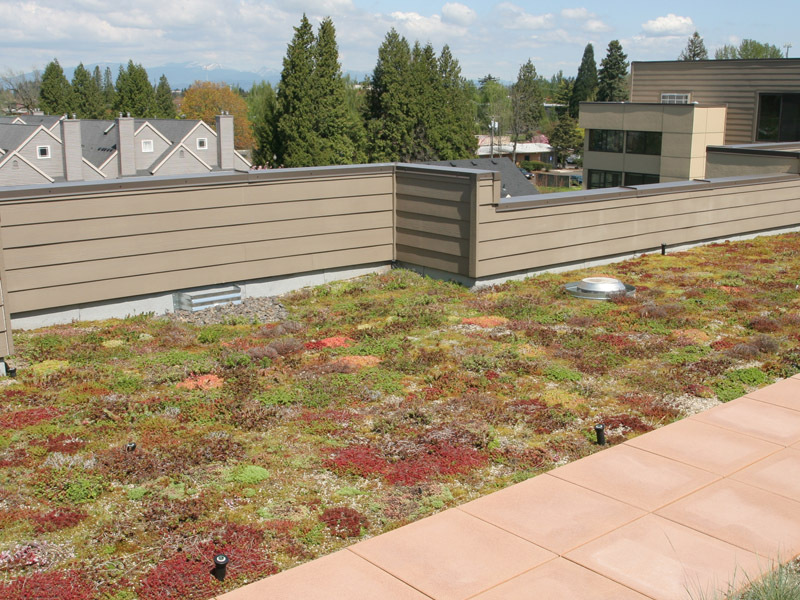 In the past, going green on your roof meant using environmentally friendly roofing materials, but now it means planting vegetation. Since 1921, McDonald & Wetle has been offering expert roofing service throughout Washington and Oregon. 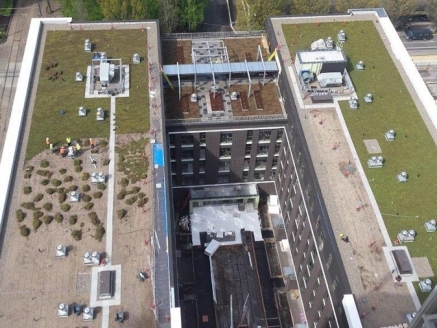 This now includes installing eco green roofs. 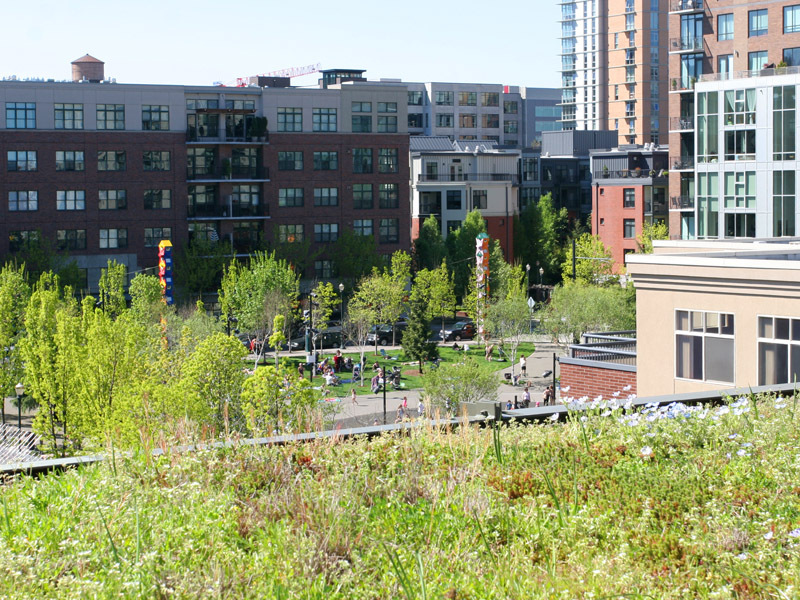 Commercial building owners have turned to natural vegetation as an option for their roofing system and reaping the benefits. 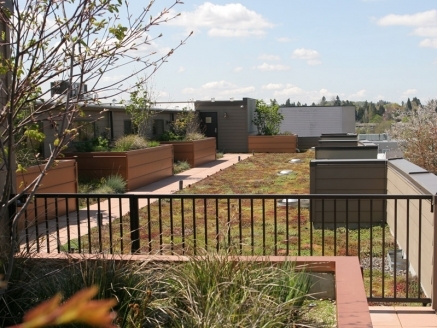 What Are Eco Green Roofs? Eco green roofs are often referred to as “living roofs,” and utilize vegetation for almost any impervious surface. 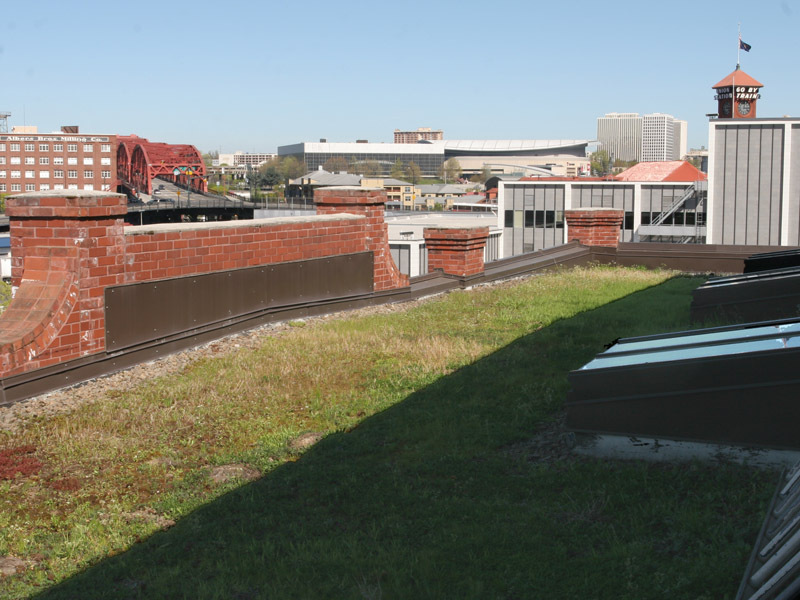 A vegetated roof system replaces a conventional roof and is built with at least five unique layers. Eco-roofs may be shallow or extensive with soil depths of three to six inches; or deep or intensive with soil depths of six inches or more. Common plants used include low-growing succulents, wildflowers, hardy grasses, small to large shrubs, small trees or a combination of choices. Plant selection varies based on climate, micro-climate, substrate and maintenance factors, budget, desired aesthetics and function of the project. 1. Root barrier/waterproof membrane to make the roof watertight. 2. Water retention/drainage layer to effectively drain excess water and retain water for plants to access during dry periods. 3. Filter layer to hold nutrients/fine particles and prevent them from being washed away. 4. Substrate/growing media designed to contain low levels of nutrients for easier plant maintenance, retain water while allowing appropriate drainage and keep roots aerated. 5. Vegetation/plant layer, including pluggable plants, seeds, cuttings and/or fully established blankets of plants, flowers and/or grasses rolled out like turf. Almost every building benefits from having a green roof. Like most of the Northwest, Seattle and Portland receive significant rainfall. Major benefits include better stormwater runoff management and reducing pollutants that flow into water bodies, which can be harmful to marine, aquatic and human life. 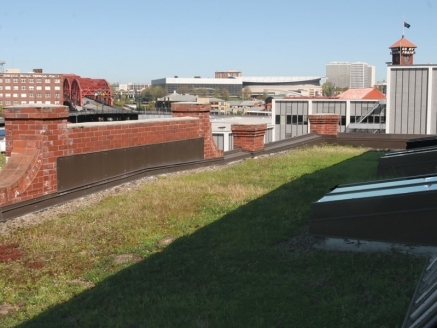 McDonald & Wetle specializes in installation, repair and maintenance of various roofing systems. 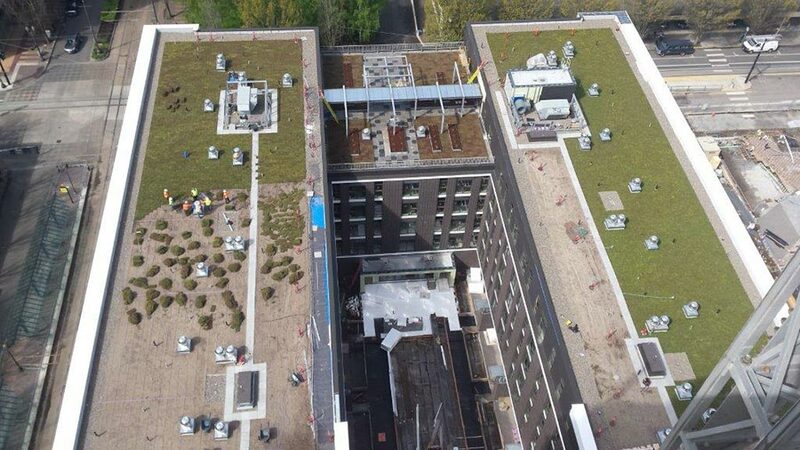 We can help your business go green with eco green rooftops. We guarantee all our work and carefully explain all your options. Contact us in Seattle at 253-589-8999 or in Portland at 503-667-0175 for a quote today!